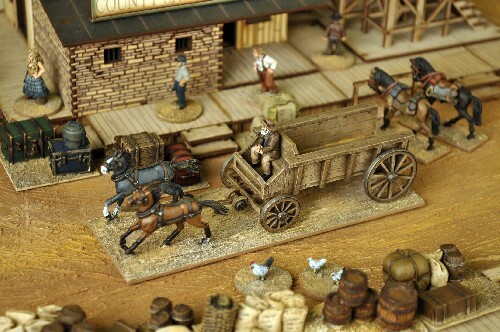 The horses are from Crusader Miniatures, the wagon is from 4Ground and the driver from North Star figures. Brought together by Mark Wheatley. Figures are 28mm sized and supplied unpainted. The horses and driver are metal, and the wagon is a laser-cut MDF kit that needs constructing with PVA glue.